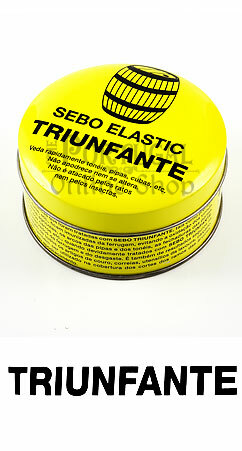 Triunfante is an elastic tallow grease. Quickly seals casks, kite, vats, etc.. Does not rot, or change with time. It is not attacked by insects or mice. Preserves and waterproofs all leather goods, belts, farming utensils, footwear, etc. 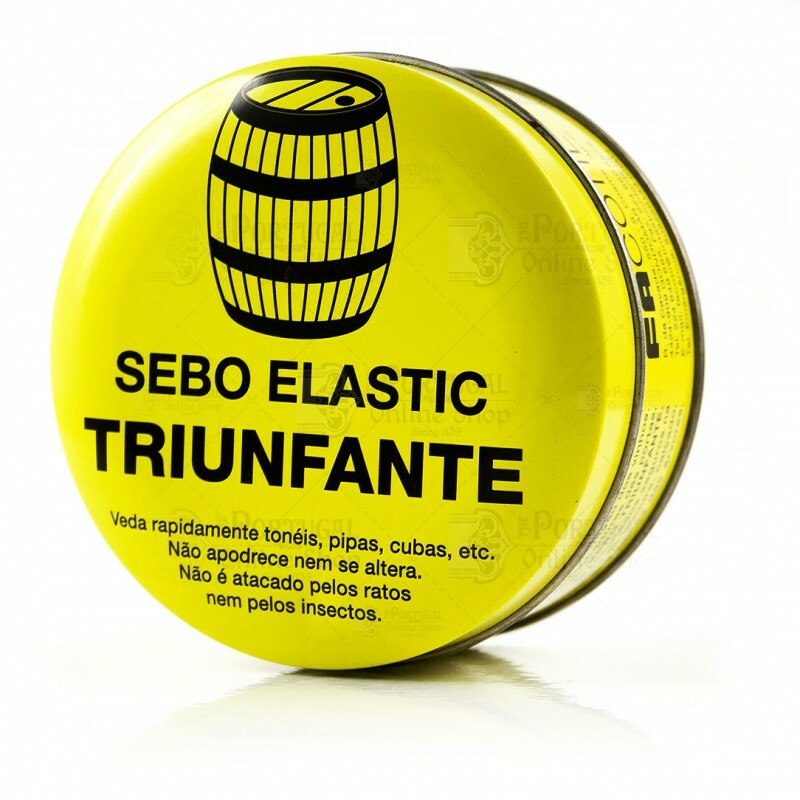 Metallic pieces that have been treaten with "SEBO TRIUNFANTE", such as presses, containers, funnels, are immunized from rust, thus avoiding oxydation from wines. 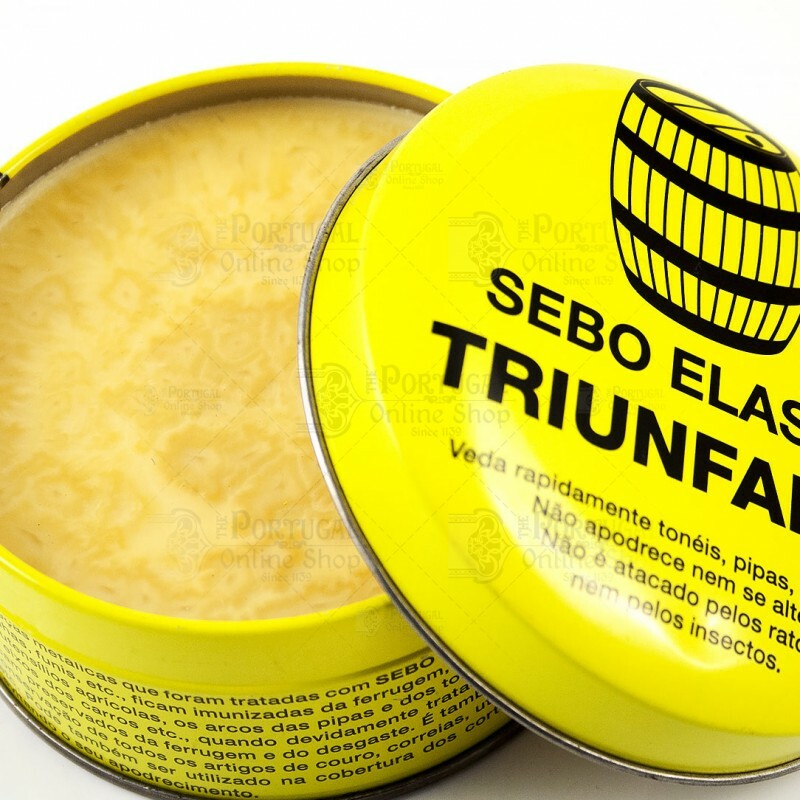 Farming utensils, arches of barrels and tanks, door locks, axes of cars, etc., when properly treated with tallow, are preserved from rust and wear. It is also reliable in the preservation of all leather goods, belts, farming utensils, shoes, etc. It can also be used to cover the branches of trees cuts avoiding their decay. To be used with gloves.